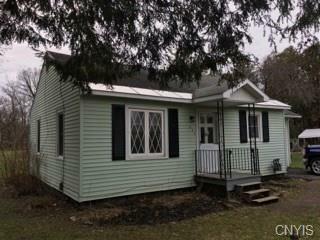 Why pay rent when you can own this very nice two-bedroom ranch on a full lot in the Village of Chittenango. Just a short walk to Chittenango Creek, or to village stores, restaurants and bus stop. Freshly painted interior, with new carpeting. New hot water heater. One car garage is deep, with a rear door leading into the fully fenced yard.